I would like to receive my annual statement, as I have moved from New York. The Member Annual Statement mailing begins this month. Most members can expect to receive their statements by mid-July. Your statement will be mailed to the address we had on file for you as of March 31, 2016. If you moved after March 31 and have not yet notified us of your new address, please fill out and send us a Change of Address (RS5512) form so we can keep your file up-to-date. We’re sorry; the NYSLRS social media team doesn’t have access to your account information. To check the status of your request to purchase service credit, we recommend emailing our customer service representatives using our secure email form. One of our representatives will review your account and get back to you. Filling out the secure form allows us to safely contact you about your personal account information. Can sick leave be used to extend service credit to my next anniversary date to reduce a penalty? 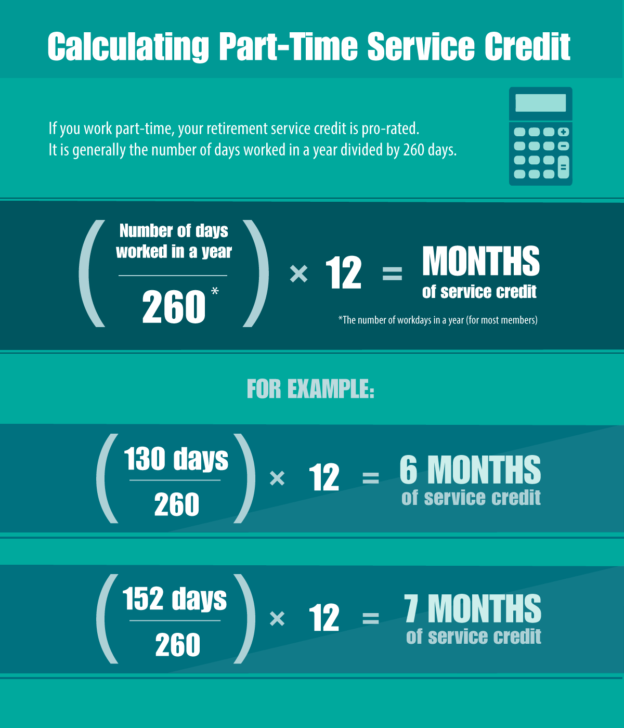 Early age penalties are generally based on your age, not how much service credit you have. If you are a Tier 3 or 4 member who is trying to reach 30 years of service to retire before age 62, you cannot use your sick leave credit to qualify for the better retirement calculation. You may wish to email our customer service representatives using our secure email form at http://www.emailNYSLRS.com. You tell them when you are thinking of retiring and ask if there will be a penalty and they can review your account to answer your questions. Please allow 5 – 7 business days for a response. Is their a program that offers an employee who was part time for a period to buy back credit for full time service? NYSLRS members can receive credit for time worked with a New York State public employer. If you worked part-time, you can only receive part-time credit. If you believe you have employment that you have not yet been credited with, you can send us a Request for Previous Service (RS5042) form. For more information, read Service Credit for Tiers 2 through 6 (VO1854) at http://www.osc.state.ny.us/retire/publications/vo1854.php. Are our 1099R’s able to be downloaded onto my TurboTax program in order to do my taxes now? We’re sorry; 1099-R tax forms cannot be viewed online or downloaded. They will be mailed by January 31. Hi, Does dual employment impact service credits and, if so, how? Generally, you can receive service credit for working for more than one employer at a time. However, NYSLRS members can’t receive credit for more than one year of service per year. Is part time service credit calculated to the day exactly or does it round to the month, or half year, or year, etc. Your service credit is prorated if you work part-time. Generally, we take your total days worked as reported by your employer and divide it by the number of workdays in a year (usually 260) to calculate your years of service. We report the total amount of service credit you earn each year in your Member Annual Statement (MAS). The most recent statement went out this past summer. For information about your specific situation, or if you need to request a reprint of your MAS, we recommend emailing our customer service representatives using our secure email form. One of our representatives will review your account and get back to you. Filling out the secure form allows us to safely contact you about your personal account information. After i retire, I am going to be working part time for the same municipality.. Can i use the new part time that i work in the years to come to be added to my retirement after i retire? No, you can’t continue to add to your pension service credit once you are retired. For more information, you may want to read our publication, Life Changes: What If I Work After Retirement? I worked 1986 and 1987 through NYS SYEP, does this time count for my retirement? And would buying it back effect my tier? Generally members can only reinstate to an earlier tier of membership if they joined the retirement system while that tier was open. However, you may be able to purchase credit for your time with SYEP. You can find details on our Service Credit for Tiers 2 Through 6 page. For information about your specific circumstances, we recommend emailing our customer service representatives using our secure email form. One of our representatives will review your account to address your questions. Filling out the secure form allows us to safely contact you about your personal account information. Is time that I worked for the federal government creditable? Usually, service with the federal government is not creditable, but there can be exceptions. For information about your particular situation, we recommend emailing our customer service representatives using our secure email form (see link below). One of our representatives will review your questions and respond. Filling out the secure form allows us to safely contact you about your personal account information. How many hours constitutes a “day?” For example, when I worked part time, my shifts were generally 3 or 4 hours. The number of hours in a standard work day is established by your employer. Generally, it’s between six and eight hours. I have bought back my prior credits. However, it still didn’t show on my ABS. I bought the credits back 10/2016. It is already 02/2019. When will the prior credits show and count towards my total credits?